EcoStar RPET-F extruded PET was formulated to fill a void in the market for food-safe rollstock that contains high levels of post-consumer recycled content, a demand driven by today’s increasingly eco-conscious consumer. We’re a company committed to sustainability. In fact we we’re founded with the belief that the recycling of existing plastic containers is the responsible solution for the preservation of resources and reduction of landfill waste. “Disposable” doesn’t need to mean “wasteful”. 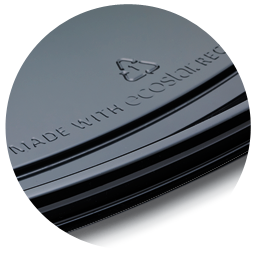 At EcoStar, plastic material is extruded from post-consumer discarded PET bottles and thermoforms that were curbside collected for reclamation – meaning your “disposable” or “’single-use” food packaging containers can be recycled and reused again and again in a closed loop. Why RPET versus APET? Some thermoformers and brand owners believe that recycled thermoformed packaging doesn’t have the high optical clarity that virgin APET containers are known for. That myth is dispelled when using EcoStar RPET-F™ rollstock, a material that is amazingly clear with superior strength and easy formability for thermoformed food packaging applications. 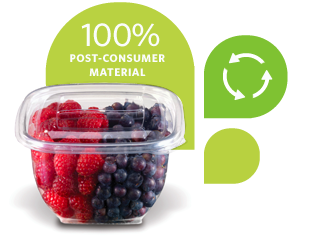 From hinged bakery containers to plastic catering trays, lids, deli cups to bowls, our EcoStar material has the properties needed to form visibly clear, strong and sustainable packaging for fresh cut, pre-packed salads, sandwiches, fruits, vegetables to baked goods, nuts and produce packaging. At EcoStar we reclaim curbside collected, post-consumer PETE bottles and thermoforms, recycle and turn them into flake which is decontaminated and sent through an extra purification process to make our up to 100% post-consumer recycled PET sheet. The resulting rollstock is perfectly suited for almost all thermoform food packaging applications. 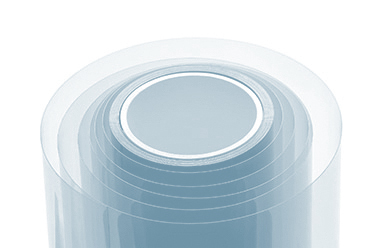 With excellent optical qualities, roll to roll consistency, shatter resistance, superior die-cutting properties and precise gauge control, consider EcoStar RPET-F, FDA LNO approved for direct food contact, rollstock for your next food packaging application. Have you seen an EcoStar logo on the bottom of a package? The EcoStar logo can be found on food and retail packaging on shelves across North America. The logo embodies our commitment to keep PET packaging out of landfills. EcoStar is a Fitchburg, WI-based reclaimer, recycler and extruder of post-consumer food and non-food grade PET rollstock and other recyclable PET sheet for plastic thermoform packaging applications.